Lightweight, stiff, and very durable. 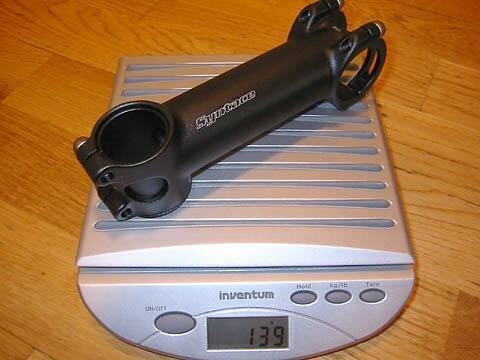 Constructed completely in 31.8mm width format from handlebar to steering tube clamp. It’s fully compatible with standard 1-1/8" forks with the included lightweight reducer and can be mounted directly on 1-1/4" forks without using the reducer. The reducer also benefits carbon steerers, by distributing clamping forces more uniformly. Further more, the stem is approved according to VR-3 road standard RC 2002.2, the world’s toughest test standard for handlebars and stems. It includes a 10 year warranty as well. 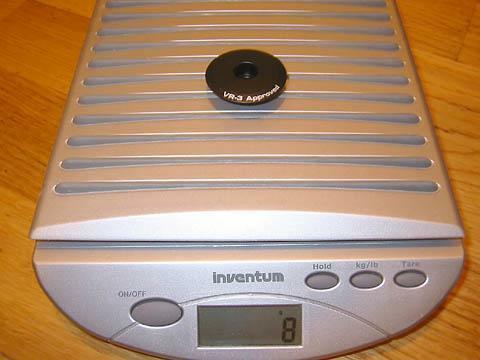 In standard configuration the 120mm version weighs 139g including the reducer. 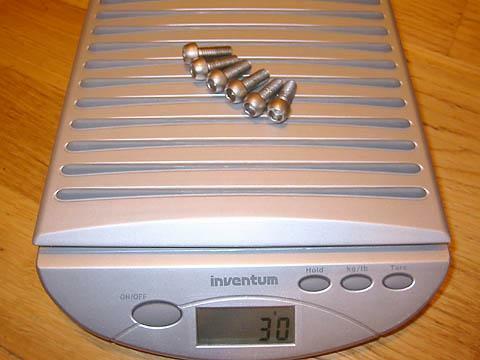 The steel M6x16mm bolts alone weigh 30g, which is quite substantial considering to the total weight. 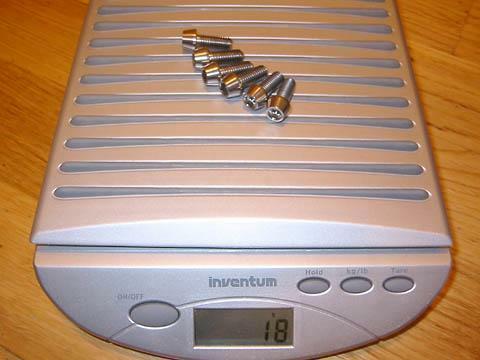 The substitute Syntace titanium bolts with tapered socket heads weigh only 18g. 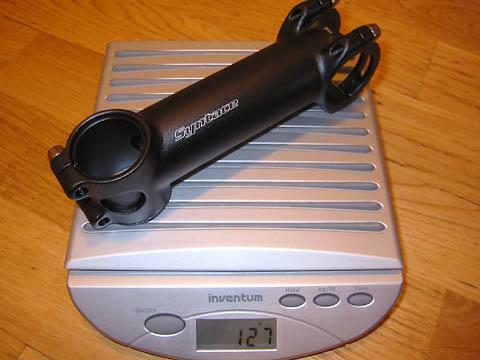 F119 stem tuned with titanium bolts weighs 127g. A nice weight reduction, without effecting reliability. 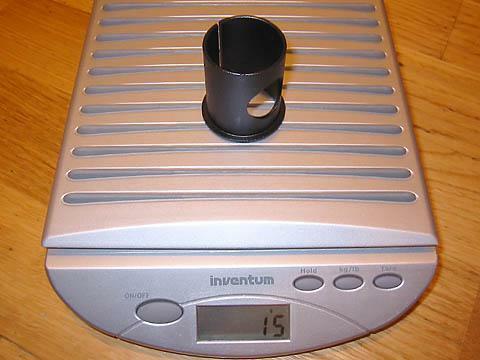 The 1-1/4" to 1-1/8" steerer clamp reducer separately. It’s very nicely lightened and matches the inside of the steerer clamp perfectly. The stem top cap with VR-3 Approved laser etching. A commonly used M6 top cap steel bolt. 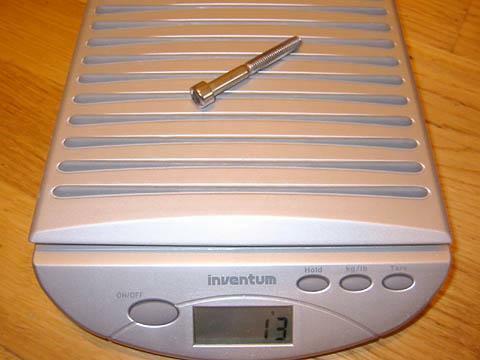 It weighs in at a hefty 13g. 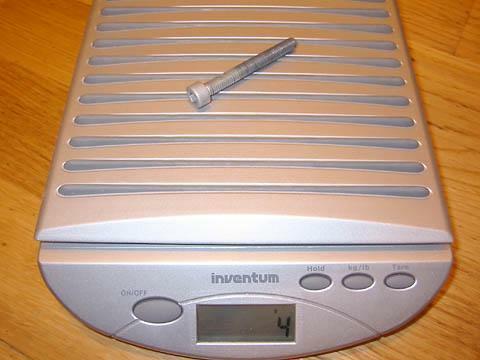 A considerable weight savings can be achieved by replacing it with an aluminum bolt. Its only function is to preload the headset bearings. Material strength in this instance isn’t of much importance. Cette entrée a été publiée dans Bidouilles :). Vous pouvez la mettre en favoris avec ce permalien.